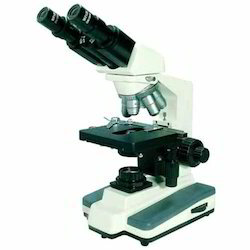 We are highly acknowledged organization engaged in presenting a remarkable range of Student Microscope. Olympus Microscope offered is engineered using best available techniques and following international industrial standard. APE Research AFM series are compact and versatile scanning probe microscope (SPM) platforms capable to meet the diverse functional needs of AFM/SPM users. The integrated combination of different characterization systems in one stage system makes our AFM systems the most cost effective ultra-high precision SPM platform. With our expertise in this domain, we are able to offer Eurostar that easily meets the requirements of indirect immuno-fluorescence. Designed with the aid of latest technology, this instrument can accommodate digital camera and has halogen light source for light microscopy. EUROMEX Trinocular Microscope BTP for Dark field Applications. Eyepieces DIN widefield eyepieces WF10x/18. Tube Trinocular head with 30 Degree inclined tube, fully rotatable over 360 Degree. Tube length 160 mm. Interpupillary distance adjustable between 55 and 75 mm. One eyepiece with diopter adjustment. 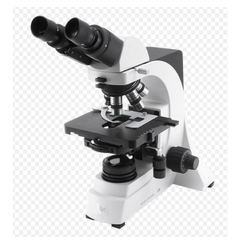 We have carved a niche amongst the most dominant names in this domain, instrumental in providing an excellent quality range of Laboratory Microscope. Catering to the requirements of our clients, we are involved in offering Upright Metallurgical Microscope.